By your questions, I see you've been paying attention to the ASI premise that to reduce risk of loss from currency manipulations, government economic policies and other factors, it's best to have your portfolio spread across countries, across currencies, and across asset classes. ASI is devoted to finding the right asset choices and developing out-of-the-box strategies to acquire the balance you want. Keep those questions coming. Your question is the perfect example of why we are proud to be the North American Representatives for Stanley Gibbons Ltd., the largest rare stamp dealer in the world. Stanley Gibbons stamps are denominated in British pounds and stored free of charge for you in Stanley Gibbons' vaults in the Channel Islands or Hong Kong. By purchasing rare stamps, you not only get currency diversification and offshore storage, but also the remarkable growth rare stamps have seen: 11% on average per annum for the past 40 years. Bloomberg Professional Services follows the Stanley Gibbons GB250 and GB30 stamp indices with the same level of confidence in their accuracy as they attribute to the S&P500 index. You can begin to diversify into rare stamps with as little as 10,000 GBP (about $17,000 USD), and receive the same white glove service as a million dollar investor. Of course, one of the benefits of working with ASI is we have a wide variety of other opportunities for you to diversify across currencies and across countries. If you're interested in offshore money managers or special situations to fit your needs, we can introduce you to our trusted allies all over the world and make sure you Keep What's Yours. Start by calling us at 877-340-0790. While we have no crystal ball, we believe there is a good chance for continuing price appreciation in palladium. My colleague, John Manfreda, in his upcoming article, Palladium-Economic Fundamentals Signal "Buy," in our upcoming (February 6th) edition of, Information Line, points out that palladium, like gold and silver, is in great demand and short supply. Switzerland and Russia are stockpiling above ground stores. Simultaneously, as an industrial metal, palladium is in demand as China strives to improve its terrible pollution problem. And, here in the U.S, the auto industry continues to stress limited supplies. Among other technologies, palladium is necessary for the catalytic converters used for environmental protection. The best way to buy palladium depends very much on your goals. ASI Precious Metals Direct is our online service you can set up in 10 minutes at www.ASIPMDdirect.com to purchase palladium on your computer, tablet or smart phone. A dozen wholesalers bid to get you the best price. ASI Precious Metals Direct also makes it easy to buy gold or silver. You can make purchases for minors in a Uniform Transfer to Minors (UTMA) account or add to your IRA or corporate holdings. Of course, if you're interested in completely offshore palladium transactions, ASI offers GlobalGold, a Swiss run platform with Swiss storage facilities. You can also choose GoldMoney, a U.K. based provider with offshore storage as well. Give us a call at 877-340-0790 and we will help you with your palladium transaction. It is true. What you are describing is the wafer thin Valcambi Combibars which can be kept in your wallet, and snapped off like a Kit Kat Bar when you want a very small amount of gold. You can buy them online at ASI Precious Metals Direct, www.ASIPMDirect.com. This innovation comes in convenient sizes. The Valcambi Combibars (50 1-gram units – total weight is 1.6 -ounces) is currently priced at spot + 10%*. The new MultiGram+25 (25 1-gram units – total weight is 0.80377 ounces) is currently priced at spot + 16%*. 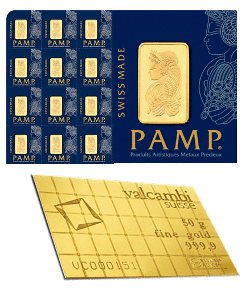 With gold at $1,260, your cost on the MultiGram+25 would be $1,175/per unit*, or less, depending on how many you order. This is a cost-effective price point when you consider individual one-gram bars can run 30% above spot. 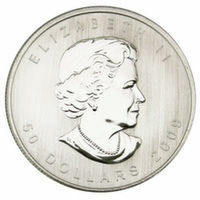 You can also consider 1/10-ounce gold U.S. Eagles or Canadian Maples (current price is spot + 13.5%*). But they don't have the light weight convenience of the ingenious MultiGram+25 bar made by innovator PAMP. After separation, each securely sealed ingot still maintains its individual certification with a unique serial number, assayer's signature and confirmation of weight and metal fineness. Nor do they offer the divisibility of the very popular Valcambi Combibars. Call ASI at 877-340-0790 to discuss your choices.